Learn science concepts based on the Singapore MOE science syllabus. Purchase the passwords to begin your quest to the Moon! Ace wanted to light up a bulb in space. He asked Churros to help him to set up an electrical circuit. Find out how Churros constructed the circuit, and learn more about electricity. Churros received a microscope for his birthday. There were 2 cell samples packed together with the microscope. Watch how he finds out which type of cells they are, and learn more about about cells. Churros and Bob found themselves shrunk when they accidentally pressed a wrong button in their space shuttle. They became so small that they travelled into Ace's body together with the oxygen molecules. Find out how they managed to escape and learn more about our body systems. Ace had just finished his training for the next space mission. Seeing that Ace was thirsty, Churros bought him a cup of cold water. They were both surprised to see water droplets forming at the outer surface of the cup. Find out more about what happens when water gains or loses heat. Ace finds out that he was an egg 15 years ago! 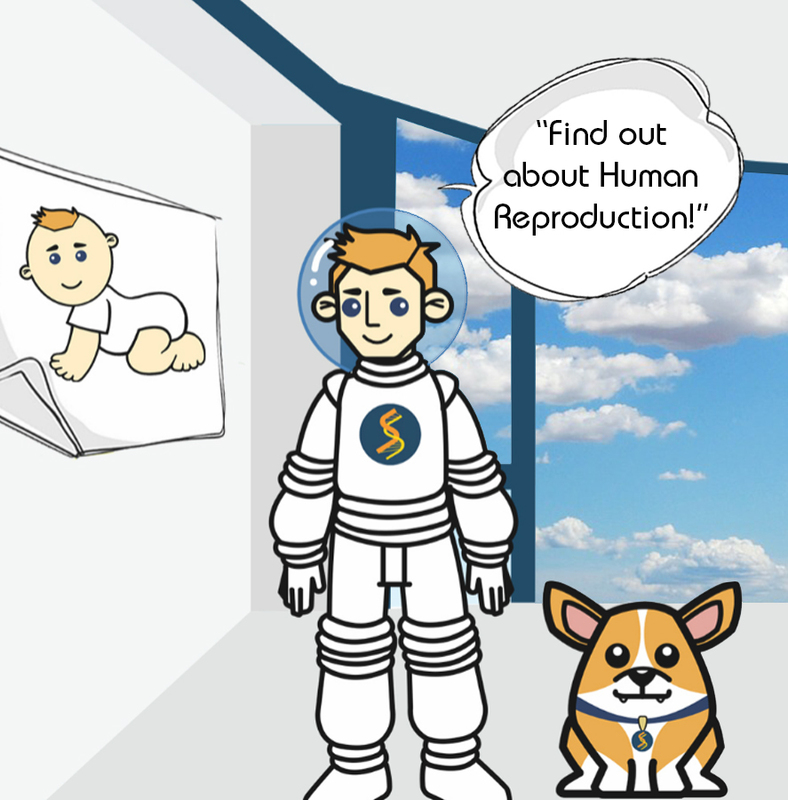 Learn about human reproduction and how Ace developed from an egg into a baby.